At PBM Fishing, our goal is to ensure your complete satisfaction with your purchase. Order Cancellation can be accepted, as long as we do not ship out your package. Otherwise, please adopt our Return Policy. If, for whatever reason, you are dissatisfied with your purchase, you can claim to return it to PBM Fishing within 30 days of receipt of item(s). Claims for missing items or items damaged in transit must be received within 7 business days of receipt of merchandise. You have the option of exchanging the item(s) or receiving a refund (less shipping cost) for the full amount of the item purchased. Any free shipping items return, if you elect a refund, we will automatically deduct our shipping out cost of the full amount of the item purchased then refund the rest balance to you. Refunds (less shipping cost) on returned items will be issued in the same payment form as tendered at the time of purchase. If payment was made by credit card or PayPal, once we receive the product we will credit your account. Please allow 7-10 days for a credit to appear on your credit card or PayPal statement. Please read all conditions below. If conditions are not met, PBM Fishing reserves the right to refuse the return or to charge a restocking fee of 10%. 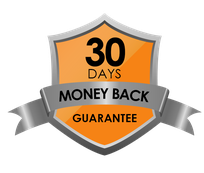 You must to contact us to claim a return or exchange within 30 days from the day you received the item(s). In order to return or exchange an item you may need to first obtain a RMA (Return Merchandise Authorization) number or an authorization by PBM Fishing. To request a RMA number, please email us at support@pbmfishing.com. The RMA number must be clearly written on the outer box, if any. Please email us to ask address to send the pre-authorized return item. All returned or exchanged items must be in unused condition in the original box. RMA numbers are valid for 30 days from the issued date. PBM Fishing is not responsible for any consequential or incidental damage resulting from the sale or use of any merchandise bought from us. We are responsible for the monetary value of the merchandise only.